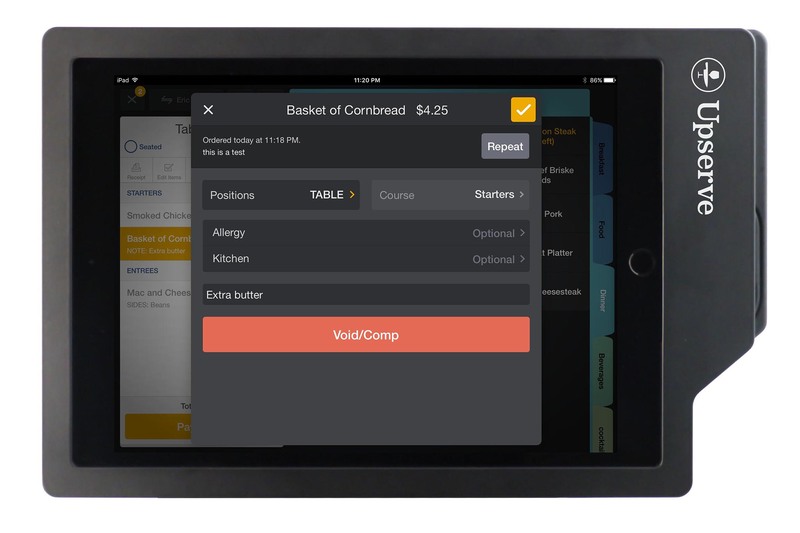 Upserve POS, formerly known as Breadcrumb, comes with all the features your staff will love baked in. 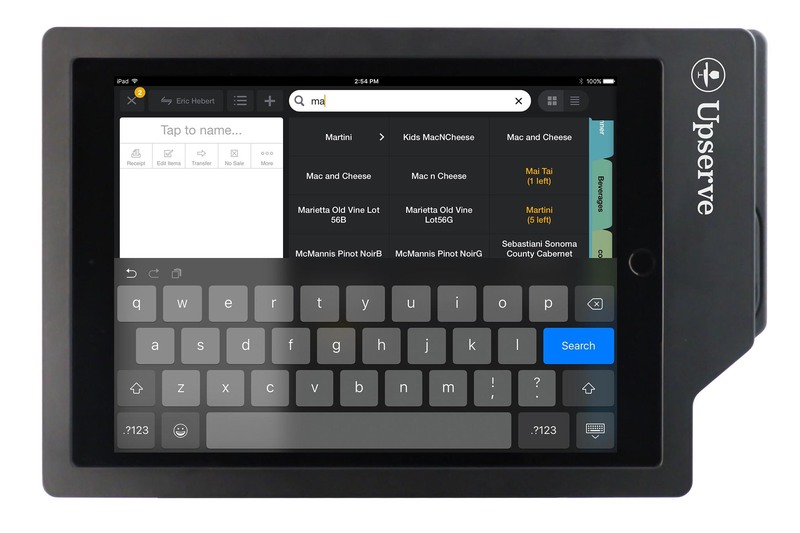 From quick menu search to splitting checks, it’s easy as pie. No internet? No problem. Continue to create checks, send orders to the kitchen and capture credit cards. 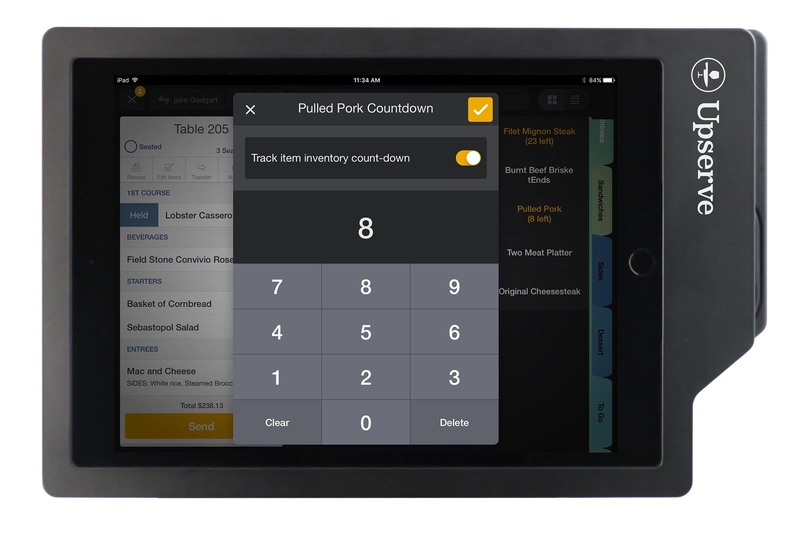 Alert your staff to important messages directly in your restaurant POS software. Don’t disrupt your flow. Add tip to the check, with the card in-hand or without, even on EMV transactions. Know the reason, person, meal and other important details behind every discount and void. 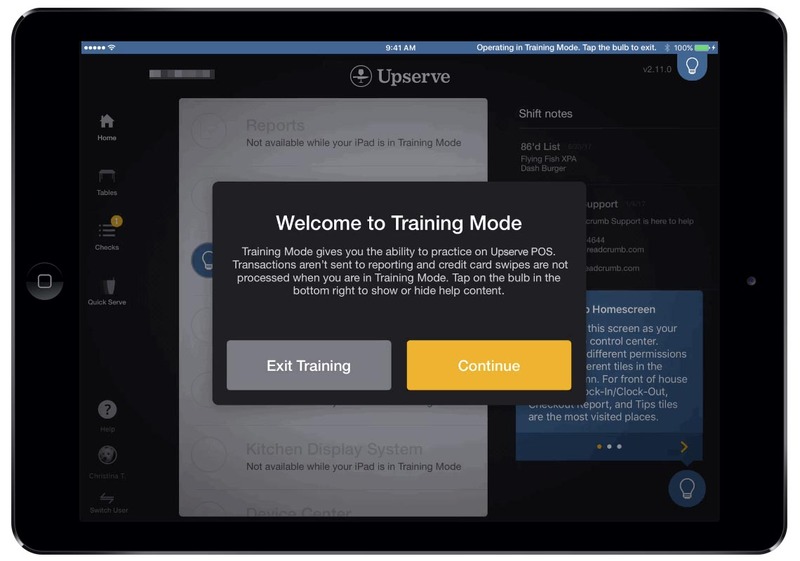 Free your staff to train on Upserve POS without disrupting service or reporting. Merging, transferring and splitting checks is quick and easy — just a few taps and you’re done. 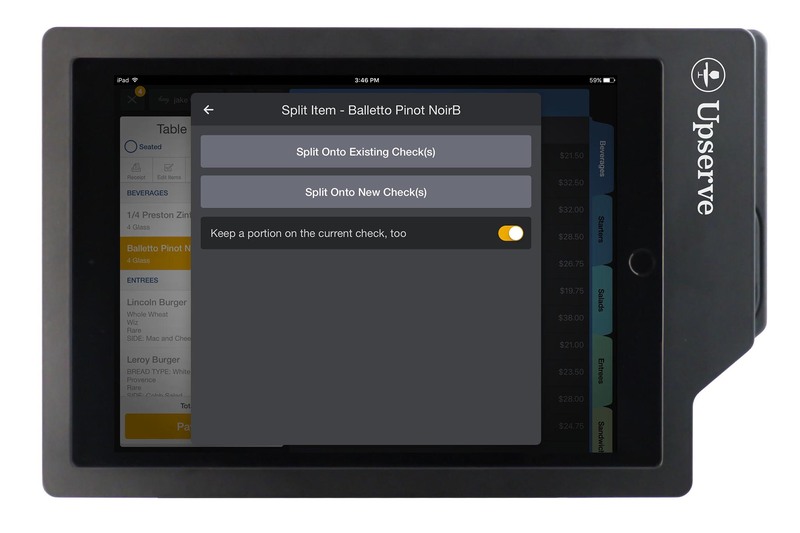 Splitting a tab for a four-top is no sweat: split items between multiple checks with a few taps. 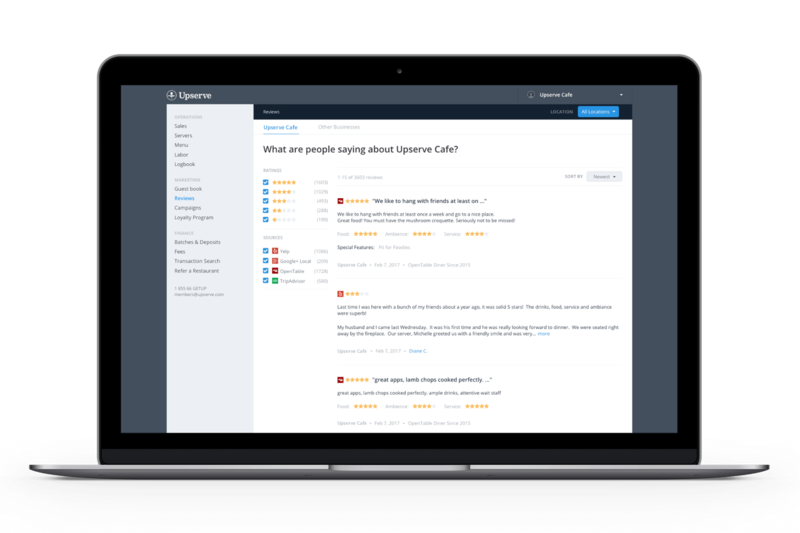 Get a recap of staff feedback, tasks lists and answers to your questions so you can plan an even better shift tomorrow. 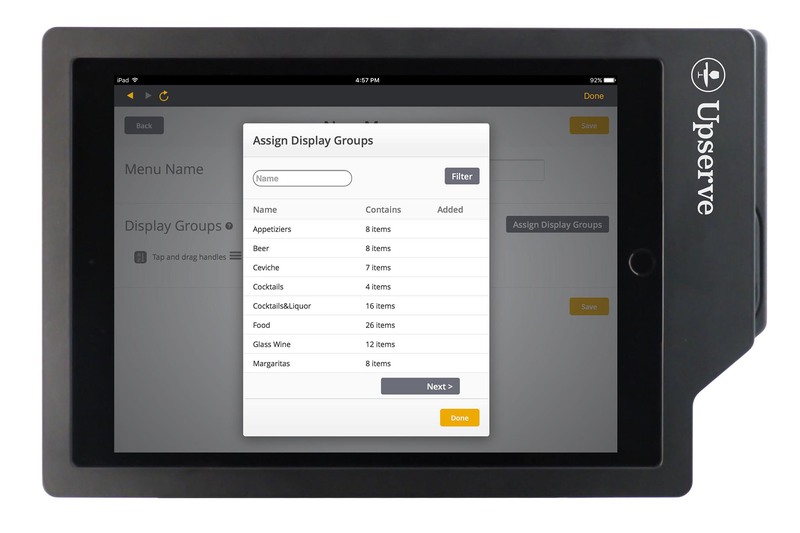 Set up a default screen to make your staff’s lives easier. Whether it’s bartenders in quick serve mode or your servers seeing their zone and tables. Find a check by swiping, searching by tab, or split checks fast and easily so your servers can move at the speed of hospitality. Swipe a credit card to name a tab; easily filter to find open or closed tabs; close out tabs with fast cash or swipe a card from the check screen. 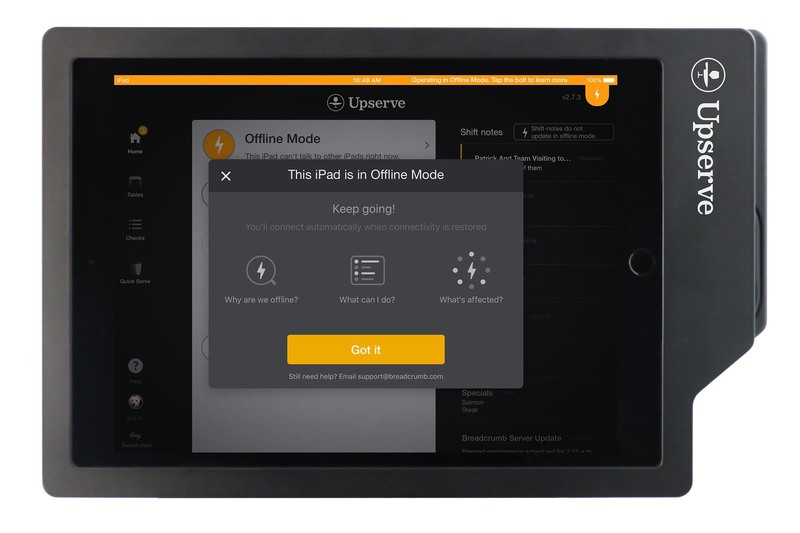 Stay in control of your business without getting stuck in the back office, by relying on Upserve Live - your restaurant management mobile app. 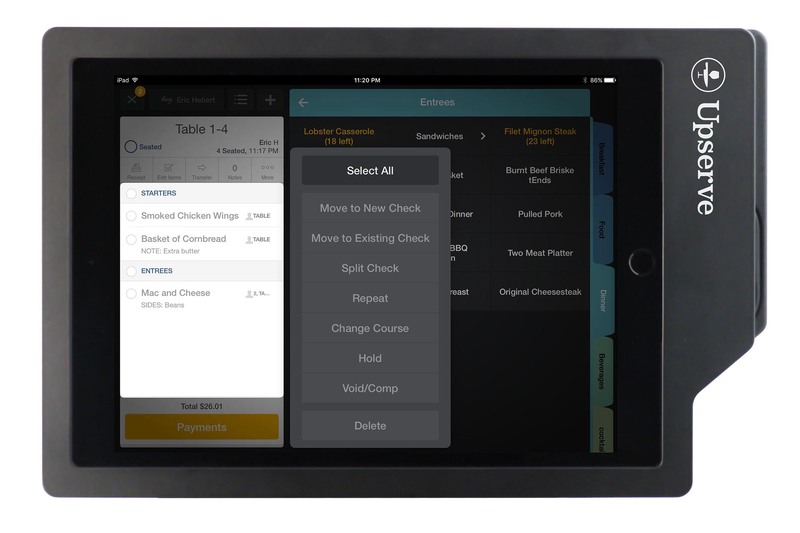 Track restaurant sales, labor costs, discounts, guest behavior, 86’d items, as well as historical trends - all from your iPhone or Android smartphone. Staff management, simplified. 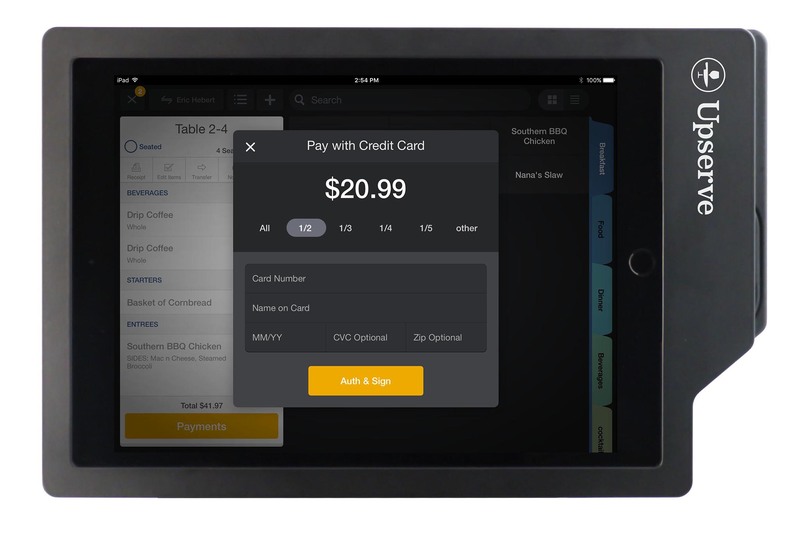 See why your star server is boosting average check size, and turn your entire floor into upselling machines. Remember everything. Know your regulars and bring the VIP treatment to every shift. 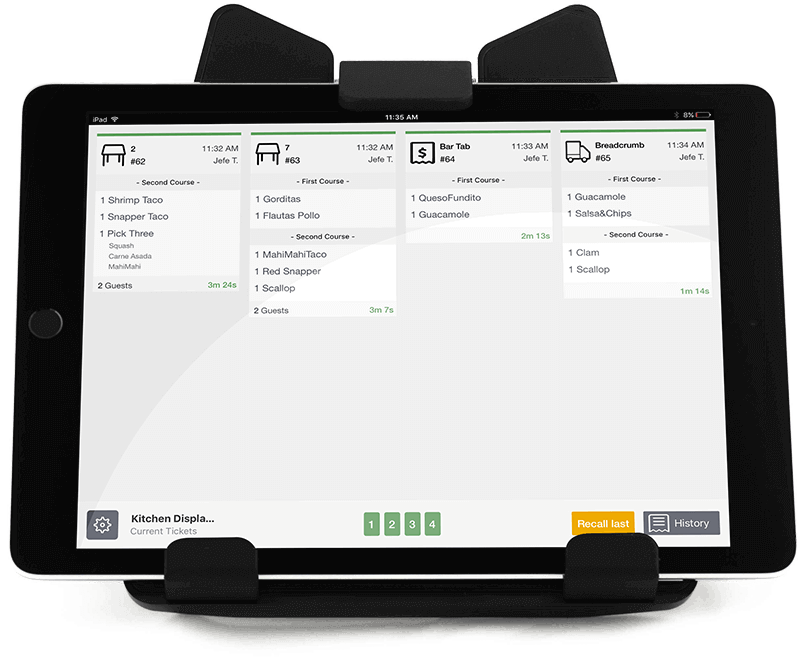 Complete visibility into your restaurant. No data overload. No wasted time. One powerful little email. 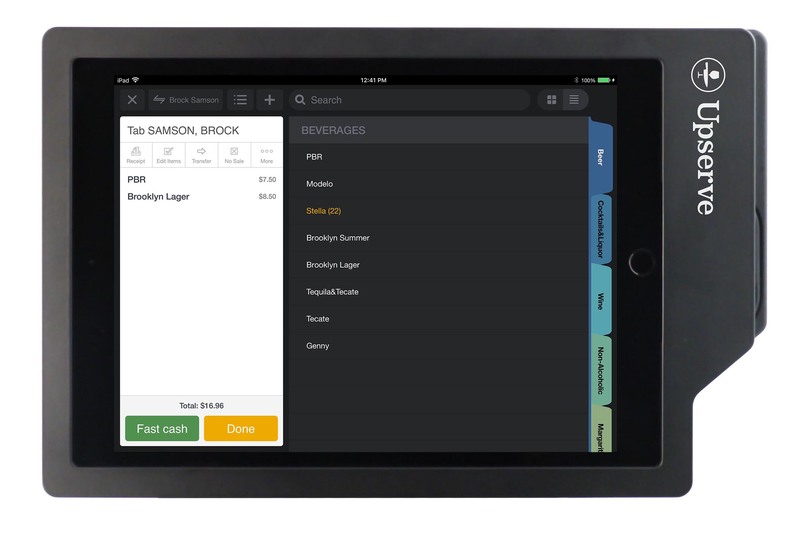 Provide a smooth digital ordering experience for your guests without commissions, extra hardware, managing multiple menus, or transcribing orders. Upserve Online Ordering makes it easy. Get a leg up on tonight’s dinner service, hours before your first guest walks through the door. See who’s coming in, prepare for VIPs, and know what items will be hot tonight. 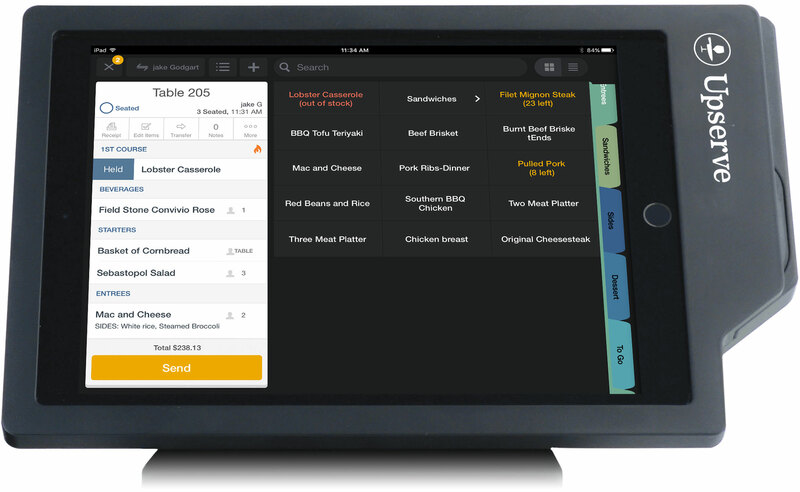 Streamline your reservations and table management. Should you focus on driving up check averages or bringing more guests in? Upserve knows. Take hospitality to your guests, literally. Upserve POS makes taking orders tableside easy. No need for a printer at the register. 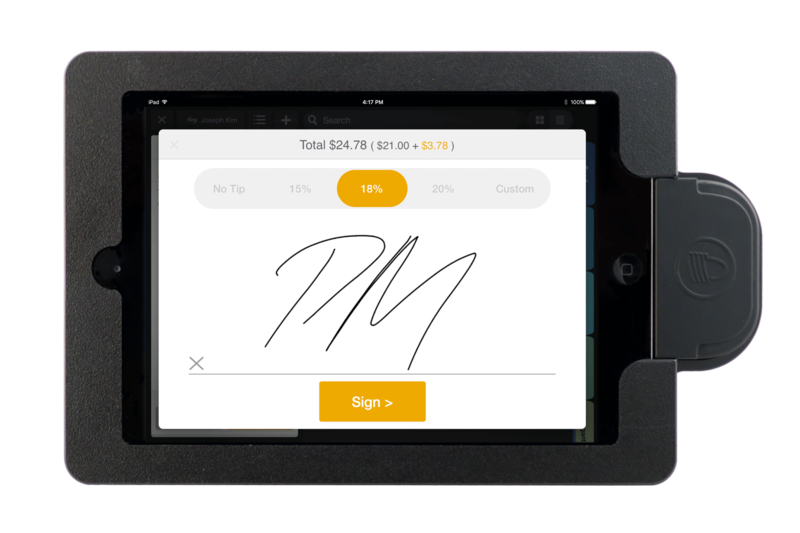 Let your guests sign on screen to expedite check-out. VIPs, allergies, special orders? Annotate items with important notes to communicate from the front of house to the kitchen. 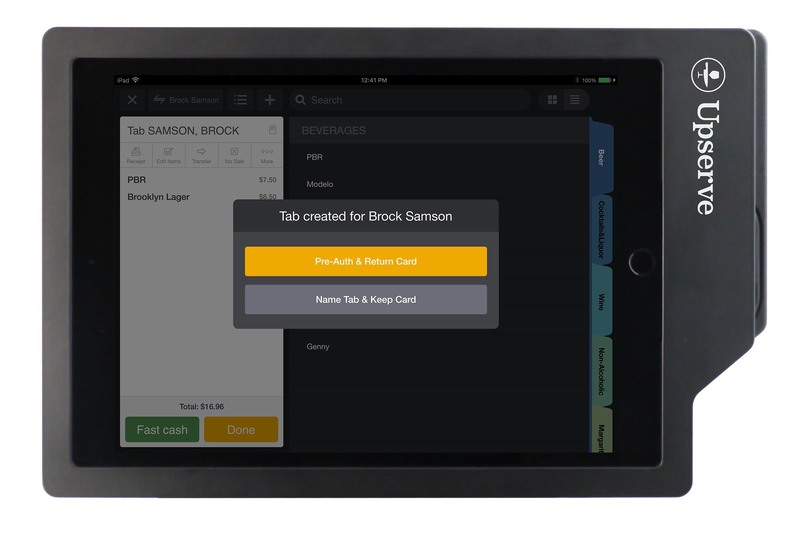 Quickly pre-authorize tabs with a swipe of the card for faster and easier bar management. Don’t spend precious time worrying about chargebacks. 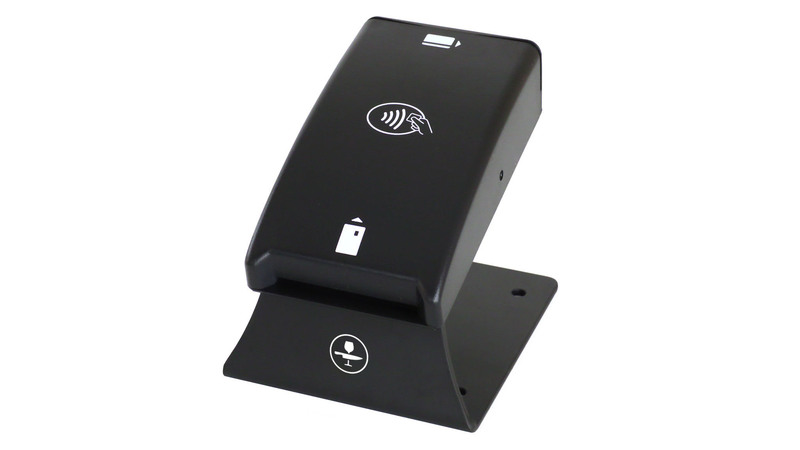 We offer the only EMV POS solution designed for the specific needs of restaurants. 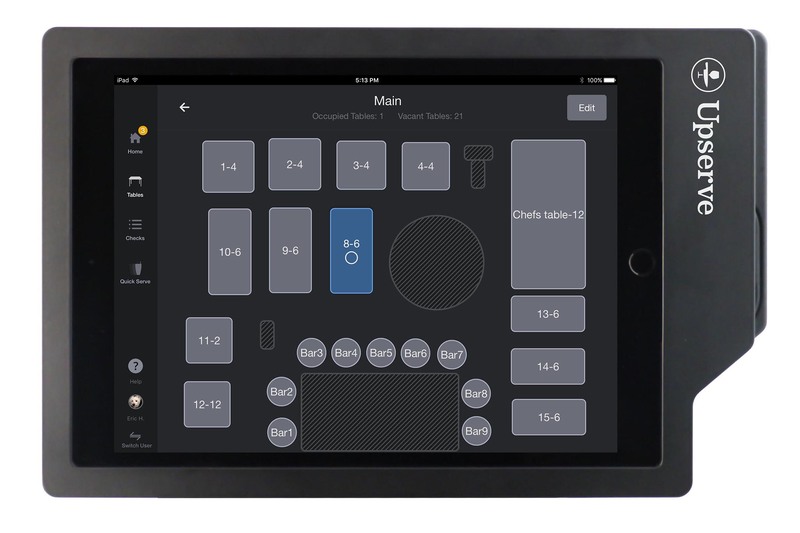 Servers can hold menu items or courses to be fired in the kitchen later. 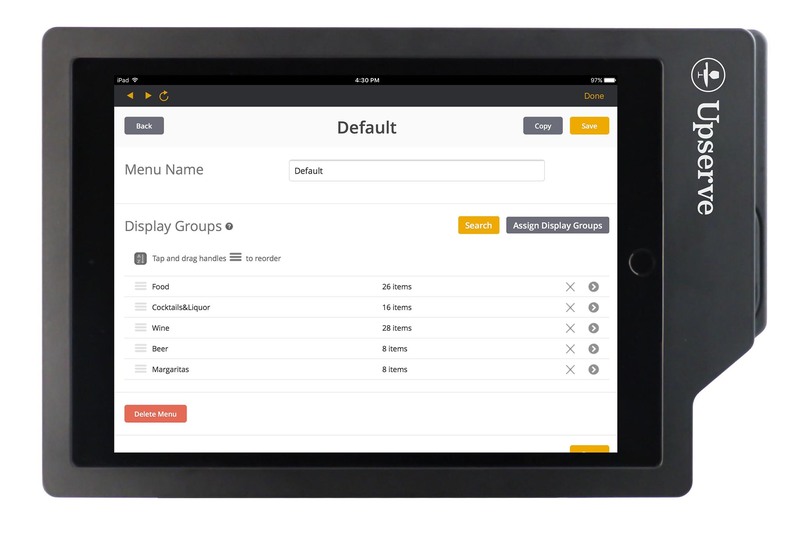 Customize your layout to match your restaurant. Move a table? Adjust it on the fly! 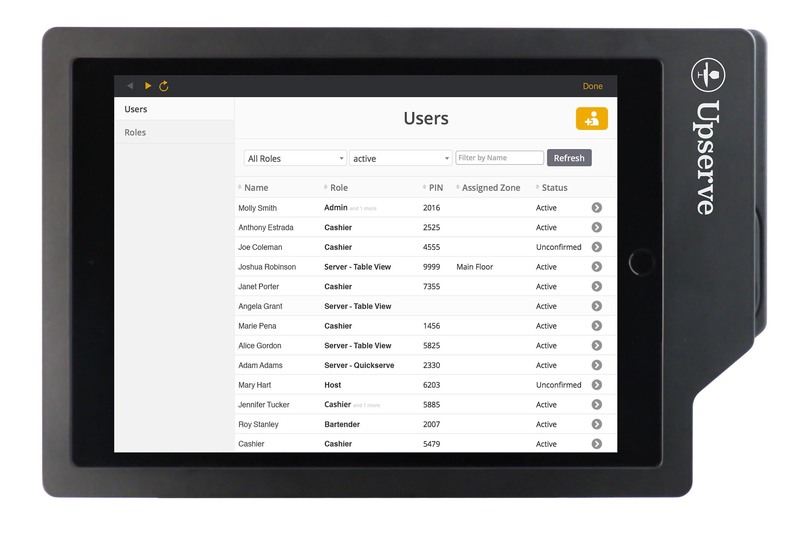 Customize where receipts and tickets print based on your restaurant's needs and layout. 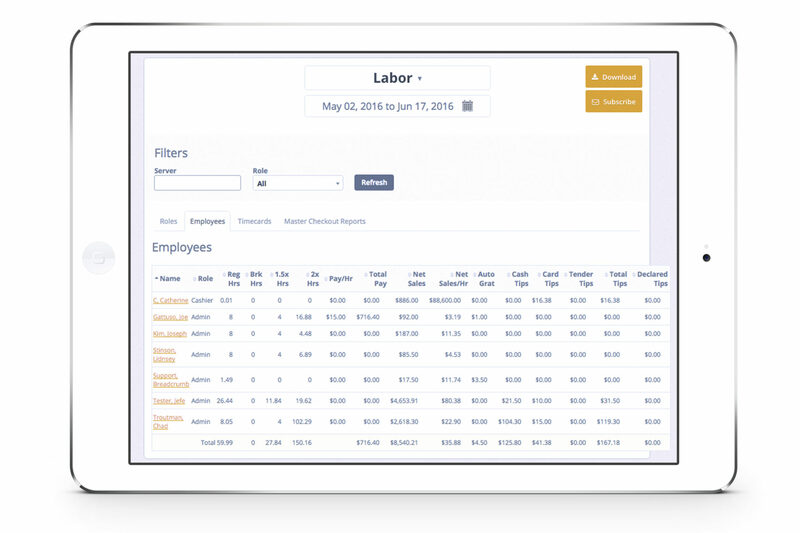 Insights that make it easier to understand and manage labor costs, scheduling and employee productivity. Is Restaurant Week really worth it? Understand sales, guest behavior, and shift trends. No need to visit multiple sites to access reviews. We put them all in one place. 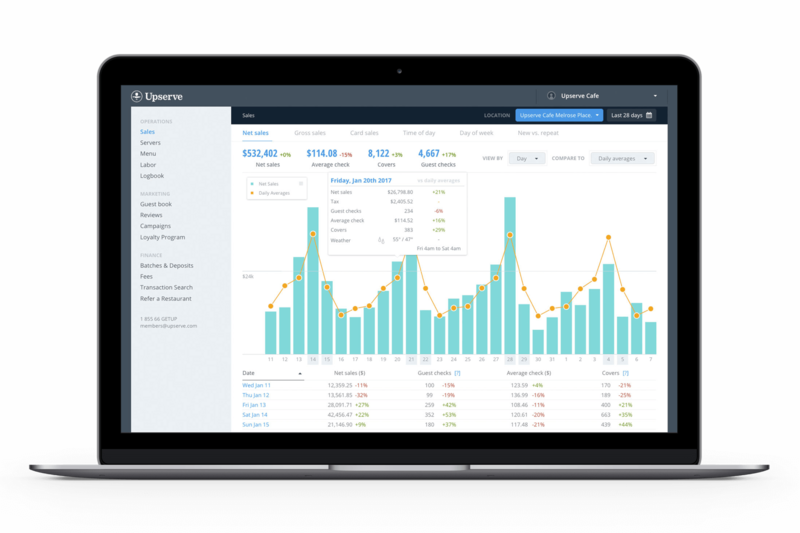 Upserve POS analytics and reporting for restaurants gives an easier review of sales trends and performance rather than digging through complicated reports. 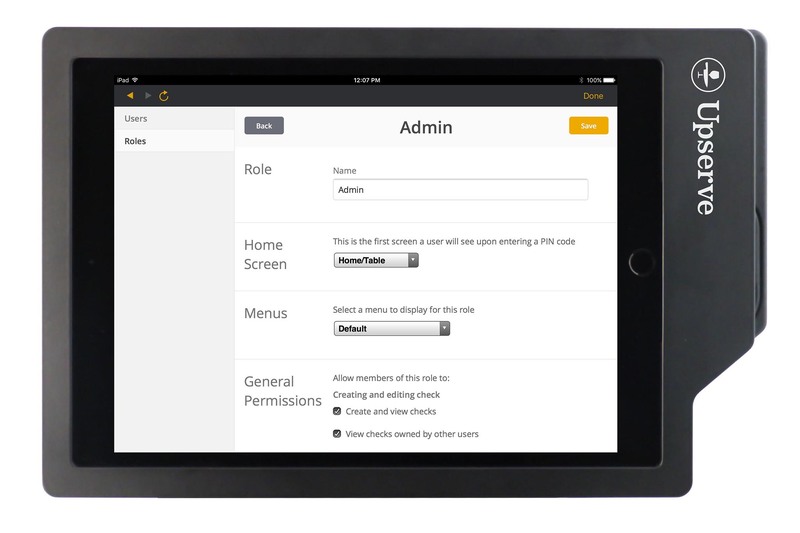 Quickly set which features you want specific employees to have access to (and which you don’t). 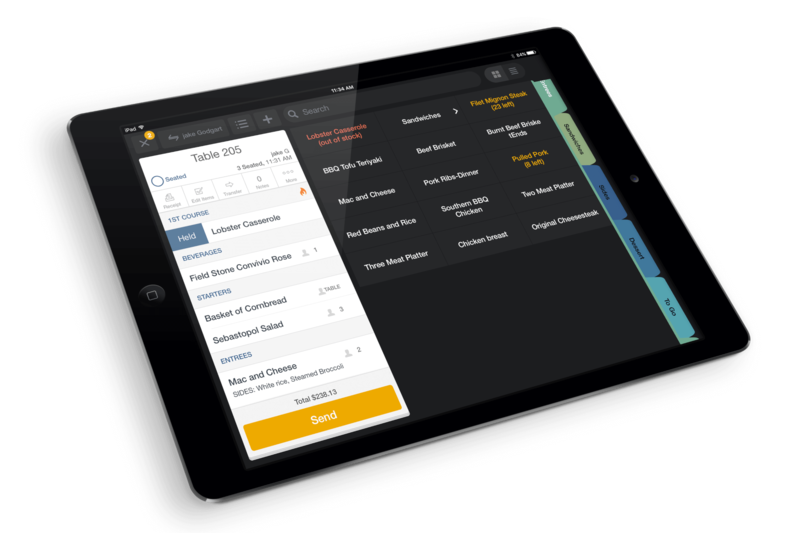 And specify particular views and menus for different roles in your restaurant. Improve your communication between the front of the house and back of the house. 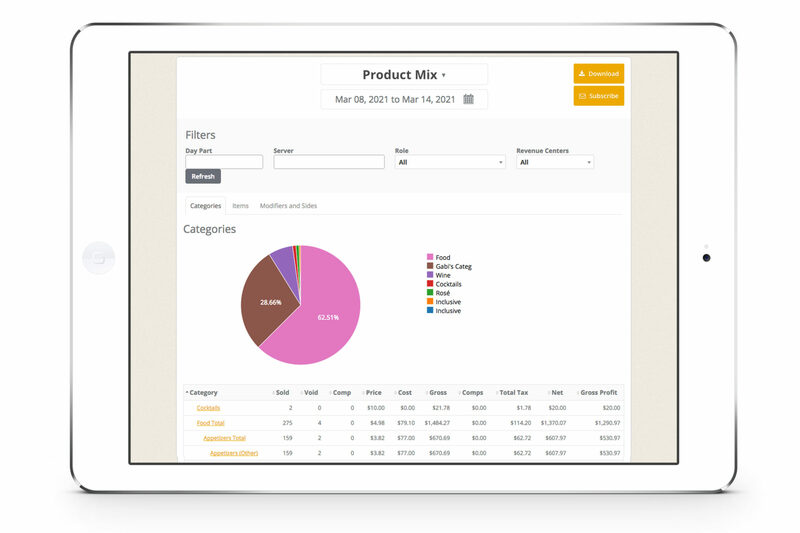 KDS makes order management easier and kitchen efficiency simpler. Are you using tip pooling? 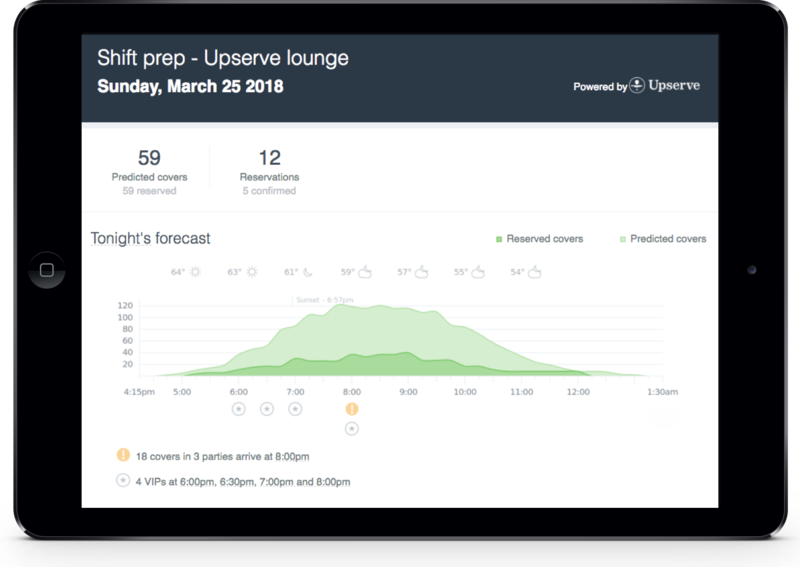 You can easily configure and manage your tip pooling setup right in Upserve POS. No more spreadsheets or additions software to help you manage your tip pool. Know which items to push and which to ‘86. Make menu changes with facts, not with gut. Guest happiness to follow. Inventory countdown alerts servers when items are running low and automatically adds 86ed items when they run out. Menu templates make setup a breeze. And our menu downloader ensures that you always have easy access to your menu. It’s yours, after all. Customize menus, create courses, and automatically fire items. Have a special request? One tap moves any item to a different course. 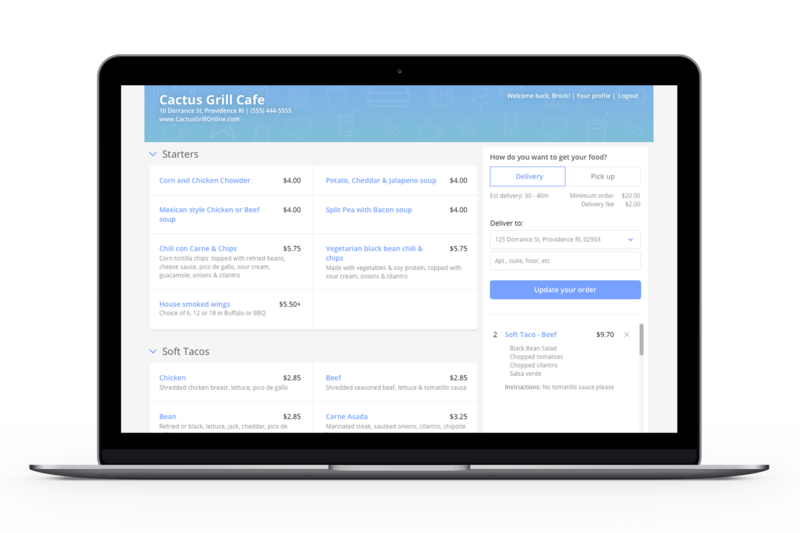 It's easy to download, edit, and upload your menu. 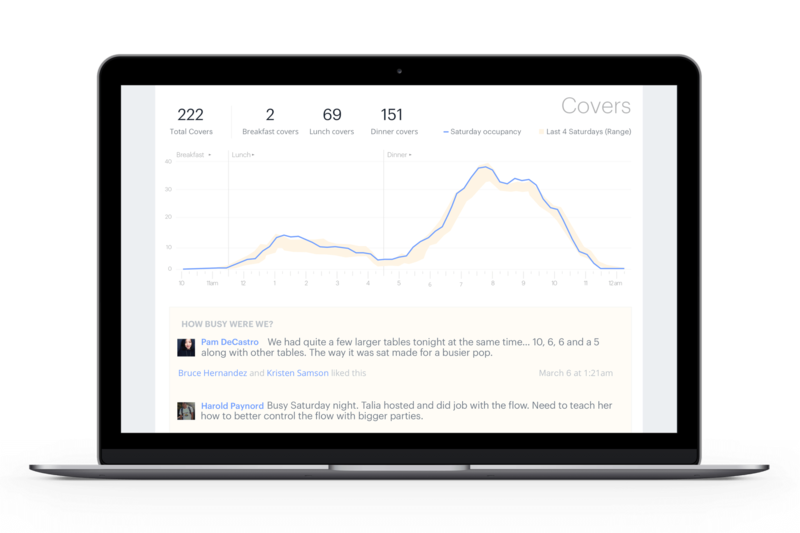 Things change, and it shouldn’t be hard to adjust in real-time. With Upserve POS, it’s not. 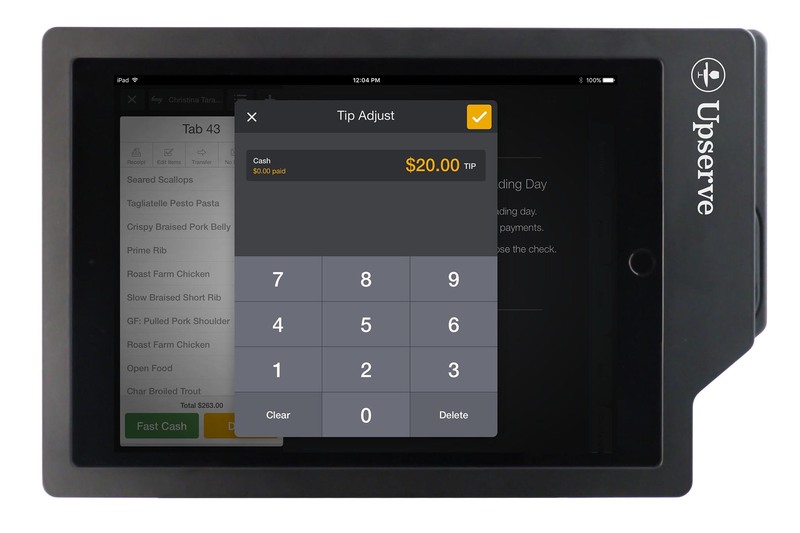 With a search bar built it, adding a menu item to a check is as easy as tapping. 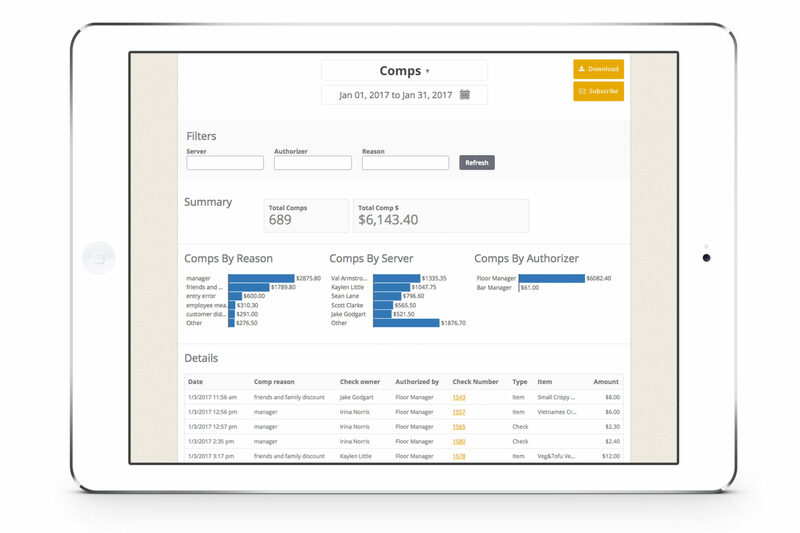 Up to the minute overview of your sales, tax, guest count, check count and revenue centers. 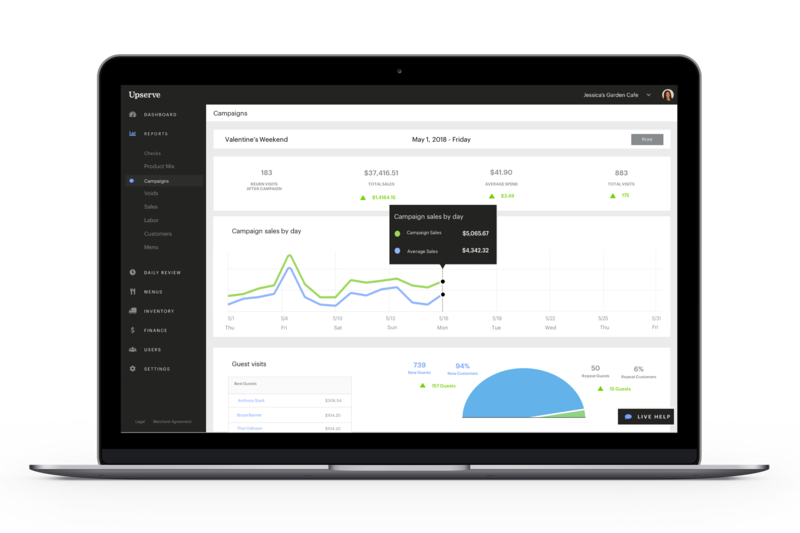 Track voids and comps by server, reason and authorizer. 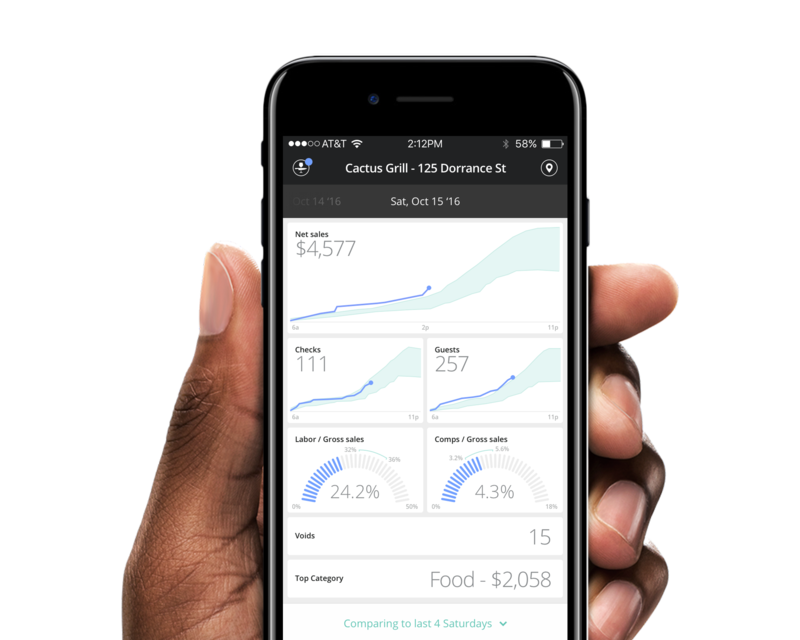 25+ data points for every check including server, items, payments and check notes. Category and item-level details help you know what’s selling and what isn’t. 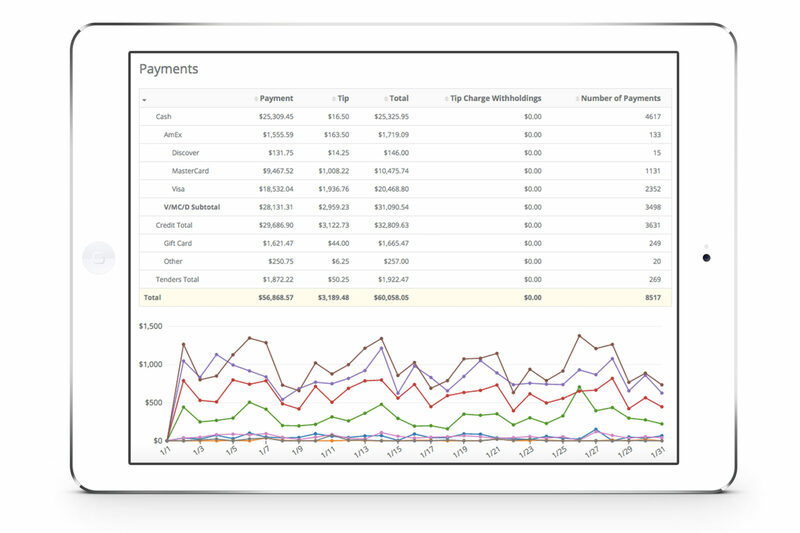 Track cash, credit cards and any other tender types. Dig into details for every check and refund. Our team of implementation experts help you set up your menu, and configure your network and hardware, including cabling. They’re also available onsite to get you ready for a successful start with the Upserve Platform. 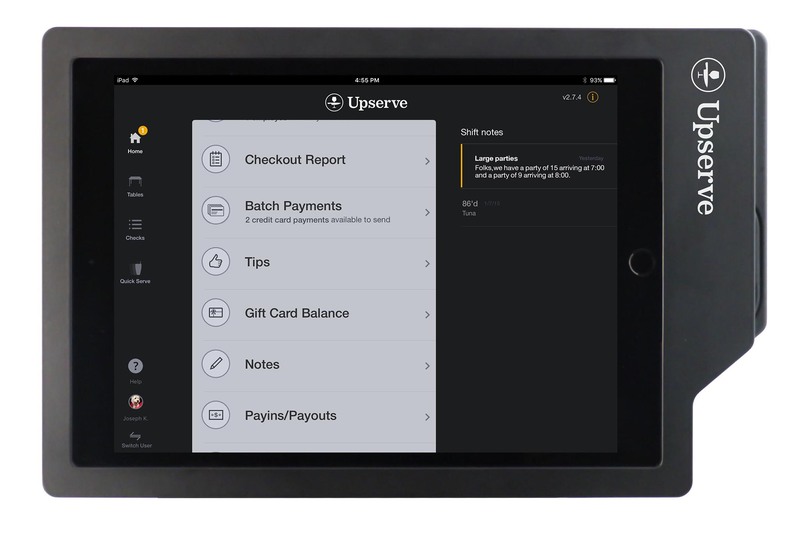 Upserve POS runs on both major platforms, iOS and Android, with durable hardware for any option you choose. Don’t get stuck with stale technology that’s expensive to upgrade. With Upserve, your Upserve POS is constantly evolving to fit your needs and the needs of the restaurant industry. 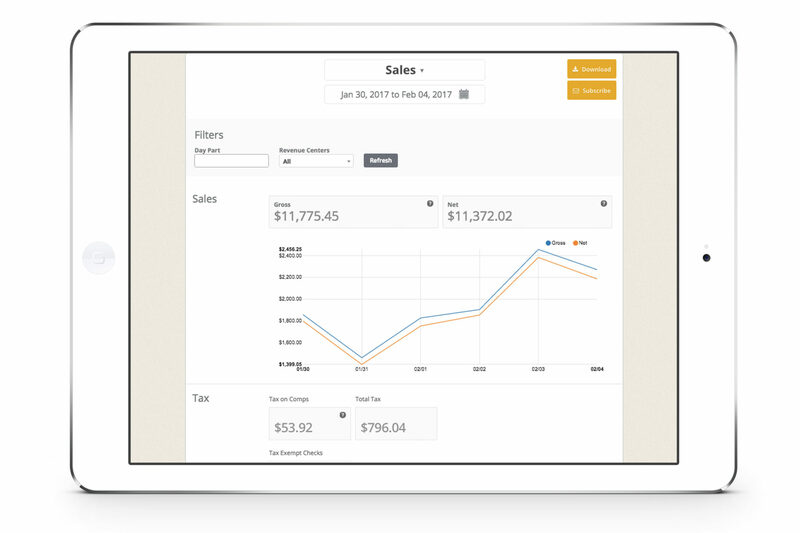 "Great way to track business sales on the go. Features work well and it gets the job done." "Upserve has consistently excellent support to answer any and all of our questions and concerns! Support staff are friendly, knowledgeable and very helpful. If there’s a feature that our company is interested in that they don’t currently have, they’ll put in a request to get that feature added to their platform. 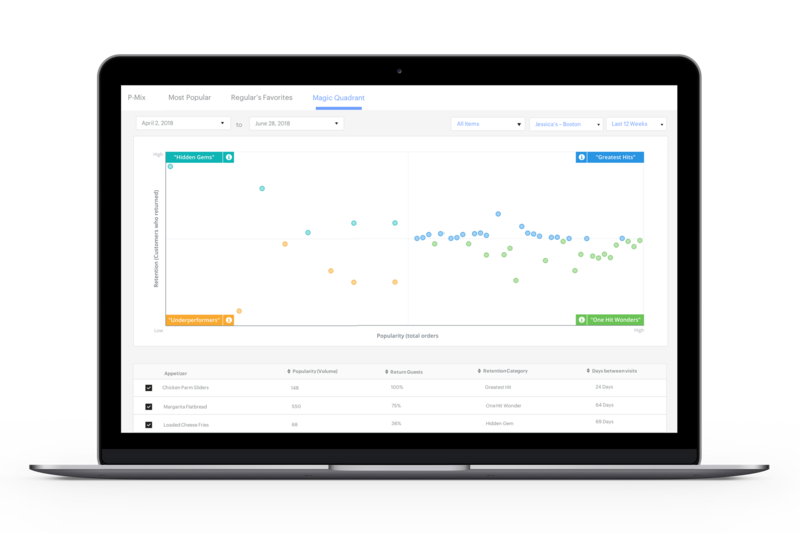 Fantastic functionality and reporting. 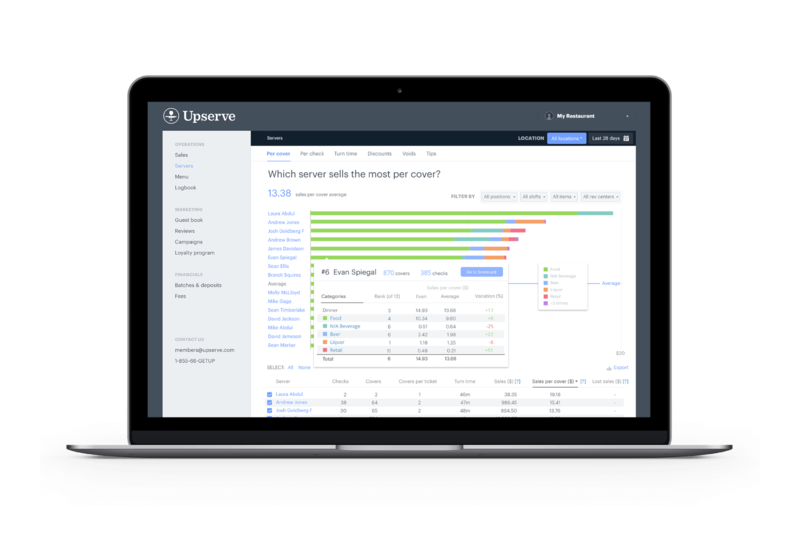 So glad our company switched to Upserve!" 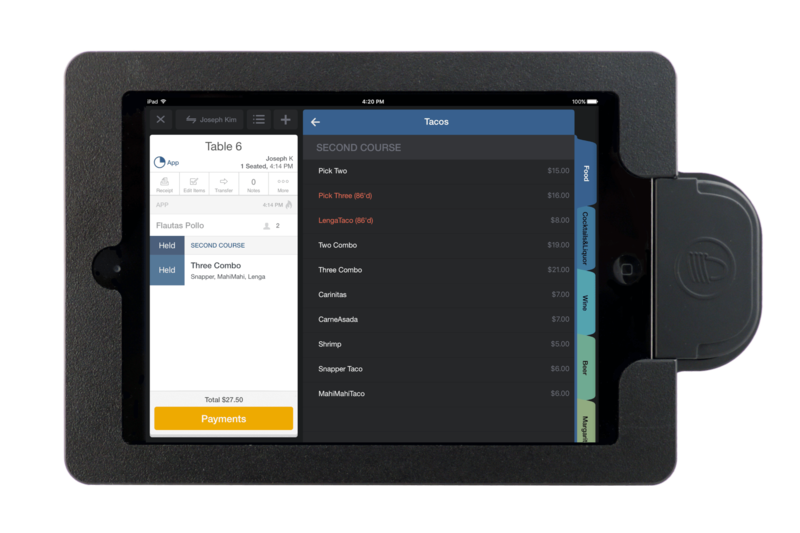 "As a start up restaurant, Upserve has been a dream compared to other POS systems we reviewed. It's ease of use is the best feature. Adding, removing, editing, items could not be simpler. Additionally it's layout makes it easy to train staff and get them up to speed."